As one who has worked with children and teens for the past 30 years, I am keenly aware that when you see patterns in their lives change, something is up. It has been at times even spooky when I have questioned a teen, after observing a change, if they are involved in a particular sin and find I have hit the nail on the head. Check out these nuggets of truth below that were given by John Witherspoon, one of the last of the great Puritans, on how falling into sin is often a process. It is good self assessment and if a parent, great wisdom in directing your child. Thanks to Kevin DeYoung and University Reformed Church in East Lansing, Michigan for digging this up. What was true in Scotland in the eighteenth century, is true anywhere else today. To help our children in their rebellion, we need to bring to them words and questions that will reach in their heart and help them see how Christ offers himself as the means to fulfill what they are seeking. It is through the gospel of Jesus Christ that we find reconciliation, the forgiveness of sins and the mercy that is available and possible for both you the parent and for your child. Remember that the power of God is Jesus Christ and the gospel (Romans 1:16, 1 Corinthians 1:18). A deeper understanding of the cross of Christ is the pathway to the heart. What tends to get in the way of the cross is moralism where thinking that if we just change some behavior, it will obtain the favor of God. This is just the opposite of the gospel where God’s favor is found in what Christ has done, not us. The parent’s task is not just to get your child to act right but is to bring the gift of Jesus Christ to them. Another obstacle is whose desires are they pursuing? We all are motivated to go after what we want but your child (and you) will need help to change those desires to God-centered desires and what God wants. Avoid the focus in your child’s training on the problem and be helping them see solutions. Problems need to be identified but the gospel brings to us the means of restoration. When solutions are determined, ask your child questions regarding what went right rather than focusing on what went wrong. For example, rather than “How did things go for you?” try “What went well for you today?” If they mention things that did not go well, have them think through some of the solutions they can employ. Help your child to learn the necessity of repentance and godly sorrow over sin. For the healthy Christian, this is our daily practice. We get to see the power of the cross when through repentance the obstacle of my sin is taken away. Repentance is a work of the Holy Spirit and though an apology may be part of the work of repentance, it is not the totality of it. Repentance is principally the acknowledgement of my sin, the impact of my sin to God and man, and the commitment to turn away from what is offensive to God and to others and move towards restoration. It is a new pathway and is not always a destination. Thomas Brooks (1608-1680) in his work, “A Cabinet of Choice Jewels,” wrote, All tears of godly sorrow drop from the eye of faith. Godly sorrow rises and falls – as faith rises and falls. The more a man is able by faith to look upon a pierced Christ – the more his heart will mourn over all the dishonors which he has done to Christ. The more deep and wide the wounds are, which faith shows me in the heart and sides of Christ-the more my heart will be wounded for sinning against Christ. The mocker, scoffer, or scorner is the final category of fool and the most severe. We start knowing this fool by their strong dislike of correction that brings on abuse, injury, and hatred to the one correcting (9:7,8; 13:1, 15:12). It is this hardness to correction that blocks any move you make to wisdom. They are a deliberate troublemaker who act with arrogance and their actions impact those around them including impressing some of the lower categories of fools (21:24, 29:8). The reason to bring these categories this week to you is to realize the importance of moving toward your child while they are in the simple and ksil categories of a fool. Too often we see in children some foolish action and take it either too lightly or think that it is cute. Keep it up and one day you may be dealing with today’s category. The fool of Proverbs represents one who has made a deliberate choice to reject instruction and training. It is not the result of ignorance and so the fool is totally responsible for their actions. Yesterday I posted about the first level of the fool from the Hebrew terms translated as fool. Today I present the next two levels, the “wil” fool and the “nabal” fool. The “wil” fool comes from the Hebrew that implies weak minded but is usually associated with being strong-willed and determined. The word picture would be bull-headed because they are stubborn in their rebellion. Some characteristics of this fool from Proverbs is that they make up their mind to do something but when asked why they did it, they may say they really did not have a good reason. Other characteristics are quarrelsome, they reveal themselves often by their speech, impatient to advice, and mock sin. (See 12:15-16; 14:9, 17:28, 20:3, 27:3, 29:9). The third level of fool is the “nabal” fool. You may recognize this word by the name of Abigail’s husband in 1 Samuel 25 and where in verse 25, Abigail in attempting to prevent King David from responding to a fool in a foolis h way states, “Let not my lord regard this worthless fellow, Nabal, for as his name is, so he is. Nabal is his name and folly is with him.” The word implies being closed-minded or what is known as hard-hearted. This is the dangerous fool of Psalm 53:1 who says in their heart there is no God. In other words, they are functional atheists in their thinking and actions and have placed themselves in arrogance as sovereign in their life. The danger of a fool at this point is they are near the final type of category of rebellion being the mocker or scoffer. As a fool, the “nabal” fool still falls into the category of hope with the rod of correction. What we need to consider always with the rod of correction is that we often apply it based upon an outward behavior, but its intention biblically is to reach the heart. The beauty of the gospel is that the rod God had for my sin was placed upon my Savior, Jesus Christ and he absorbed its blows for me. That set me free to find wisdom in him rather than in myself. The hope for the fool is Christ and though you can modify a fool’s behavior, only Christ can change their heart. We move now to the word “fool” in Proverbs which is actually 3 different Hebrew words. There are some slight differences in each term that can be broken down into categories of severity of fool. In other words, the first kind of fool I will write about is not as bad as the others, though is the most common and is still a fool. This fool in the Hebrew is the word “ksil” which in its root form means fat. The picture of it would be a pig and it implies that this person is acting mentally fat, dull, sluggish, dull, and obstinate. This is not due to lack of mental ability but is a chosen outlook they have taken. The root of the problem with this fool is a spiritual one where they lack reverence or fear of the Lord and prefer illusions to the truth (1:29, 14:8). They do not have the patience or the mental energy to search for wisdom and pours out freely their opinions that are usually displaying openly their foolishness (15:2, 13:16, 17:24). A child who takes this form of foolishness brings sorrow to their parents, bitterness, calamity, and they show they despise their parents by their actions. (10:1, 15:20, 17:21, 17:25, 19:13). In terms of progressive foolishness, if the simple fool does not move to wisdom by instruction and training and rejects the discipline, they move to a ksil fool. The hope for the ksil fool is the rod of correction which is an instrument that is designed to help in the instruction and training of a child and I will cover more on that topic later. For all us, we are often such a fool and should be able to identify with out children their rebellion in this area. The first rod of correction is the cross of Christ where Jesus drank the cup of God’s wrath for our foolishness. By such grace, we need to embrace the wisdom of Christ to move from folly to wise choices. Tomorrow the “wil” fool and the “nabal” fool. 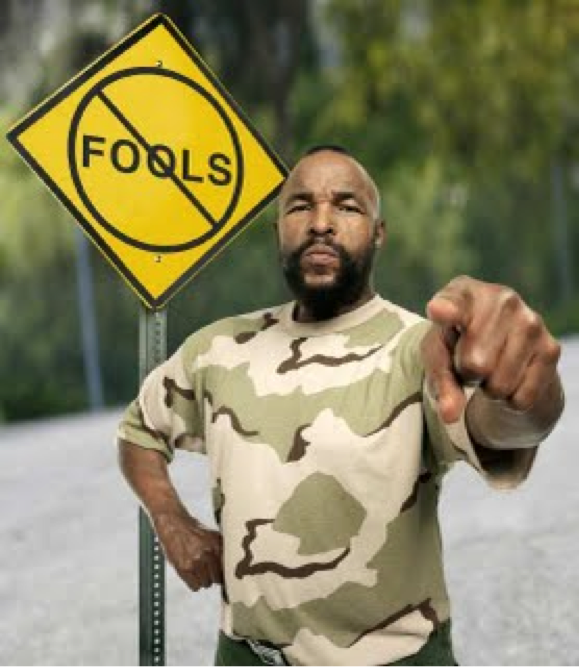 The word “fool” occurs nearly 100 times in the Book of Proverbs. That is more times than the word “wise.” That might say something to all of us! The gospel informs me that before I stick my finger out and call someone a fool, I need to do some looking first to myself. This is particularly true in parenting. How often when we are disciplining our child for a foolish thing that we do it in a foolish manner. Also how often we are disciplining them for something that we have not moved into a wisdom model yet in our own lives. Proverbs and the wisdom of the gospel exposes us. This does not mean that we not discipline our child, but it does mean that I need to learn to approach them touched by grace and with the clear objective of moving toward my child in wisdom. To help in doing this, I have found it very useful to identify the type of foolishness that is occurring as best as I can. The Book of Proverbs has 5 categories of fool. The simple, 3 categories of what is translated as fool, and the mocker or scoffer. Today I will address the simple fool and then add each day another category. The simple fool in the Hebrew is a word that in it’s verb form means to deceive or seduce. This fool is described in Proverbs as someone who might be a follower who is easily led. They are gullible to things told to them. At times they act silly due to their simplicity and they are described as naïve and believing just about anything. The simple fool will show irresponsibility at times and act without thinking. They do respond in a positive way often to visual aids. The simple fool is the least severe type of fool and really represents all of us daily. This fool acts because they just do not have the wisdom on what to do yet in a situation. There is great hope in rectifying their foolishness and often they just need instruction. In other words, they acted without knowledge or the fear of the Lord. Though like most of us, they do not prefer discipline, there is hope they will receive it. A few Proverbs that address the simple fool are 1:22-32; 14:15; and 19:25.